Like, what’s up with DC Comics? Are they crazy or what? If it means that we will see more books like this, I don’t care if DC becomes madder than the Joker himself. 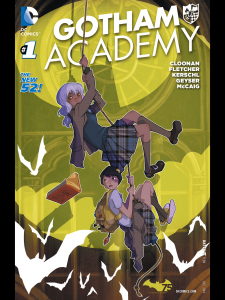 Gotham Academy #1 has so many incredible things going for it that it is difficult to narrow this review down into a concise and clear organization of thoughts and words, but I will try, adamantly. We have an eerie and mysterious setting in Gotham Academy itself, with wonderfully illustrated Gothic architecture and decor, not to mention the stellar rendering of lightning—seriously, the lightning in this book is beautiful. There is an odd and terrifically riveting protagonist with silver hair and a peculiar disposition. Like, what’s up with Olive Silverlock? Is she crazy or what? Not much is revealed in way of character, both in the central protagonist and her surrounding compatriots, both in way of antagonist or friend. We learn of relationships, past and even reluctantly present and future. Here, we find that both the writers and the artist masterfully brew darkness with light, as there is a clear and present ominous tone that isn’t so head banging that it suffocates any chance of humor or bright moments. And there are a magnificent slew of bright moments. The opening page is very much DC, in that wonderful little way the publisher has perfected it’s dark mood setting. Then the book takes a fascinating tonal switch and we have a lovely little moment reminiscent of Harry Potter—and everyone loves J.K. Rowling’s masterwork. What follows is a full-page spread that takes very long to read, as you cannot stop staring at the art and a rollicking narrative about young people being young people in Gotham. 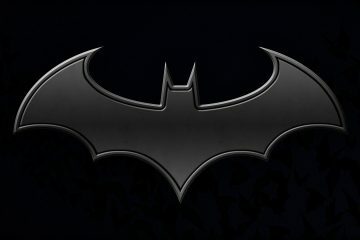 Seeing the world of Gotham from the eyes of those below the Bat-signal is both engrossing and inviting. The writers, Cloonan & Fletcher, successfully bring you into the city of Gotham where there is a man dressed as a bat running around without giving it a cliché camp many writers would have undoubtedly failed at. Familiar faces show up when hijinks do as they always do: lead to trouble. Some interesting moments between said familiar face and Olive Silverlock are surely to come and will be truly welcomed in future issues. Kids go to class, kids are bullied, and relationships are rocky. And then there is the possible ghost in the North Hall. To wrap things up, the art is some of the most stunning I have seen in quite some time, especially from DC. It easily rivals Greg Capullo’s Batman art, and maybe, for my own personal taste, even surpasses it. Not only is the art clean and so very present, it is spectacularly innovative as the artist and colorists play and manipulate their craft to take the best advantage of lighting, mood and tone. It does seem silly, but there is a moment with a flashlight that I had to step back and stare for a moment. If Talking Comics had a favorite art of a single book for the year award, as it stands, it would go to the wonderful team tackling this book. I love it. If there is any negative to the book, it’s that it burns slowly and many mysteries are present at the end and when you reach there, you only find that the list of mysteries has piled up. This leaves the reader without any positive growth amongst the characters and can possibly cause some to walk away a little cold. But then again, how can you when the characters are already so warm and fun. Buy and then buy it again for anybody you wish to have a better comic life. 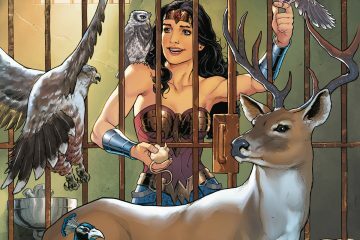 DC Comics has released what could possibly be their best book of the year. It’s so far from anything they have done in recent past and is possibly the best thing to come from the reboot. I want a weekly television show of this property! Come for the new and improved DC book, stay for the eerie and creepy tone coupled with the most fun a Bat book has had yet. Because seriously, guys, I cannot get over how much I love this book. I absolutely loved this book! I was recommending it to a friend last night and described it as “Batman meets Hogwarts.” It’s very rare to read a book about kids where they sound and look like kids, but this book does it perfectly. Very excited to see where it goes. I’M SO HAPPY THAT PEOPLE ARE LOVING THIS BOOK! Because, if people are loving it and recommending it, just as you, it will survive! Which is exciting. Though, Bob just sent me an email saying he read it and loved it, sooooo…..THIS BOOK IS CURSED (In my best attempt to recreate the voice of that one guy on The Mummy Returns).